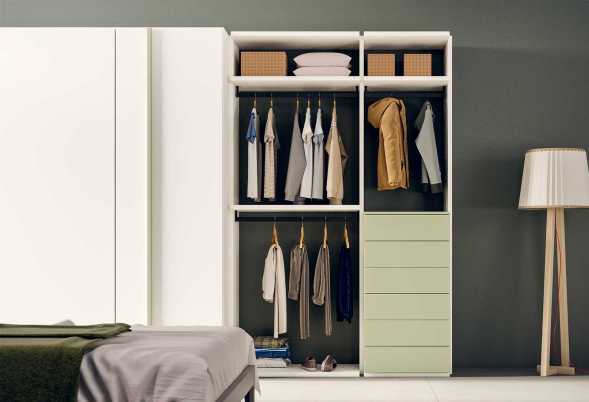 Flexy is a modular open wardrobe system with a flexible design that makes the most of any space and can be personalized with a wide range of colours to suit kids' and adults' bedrooms. 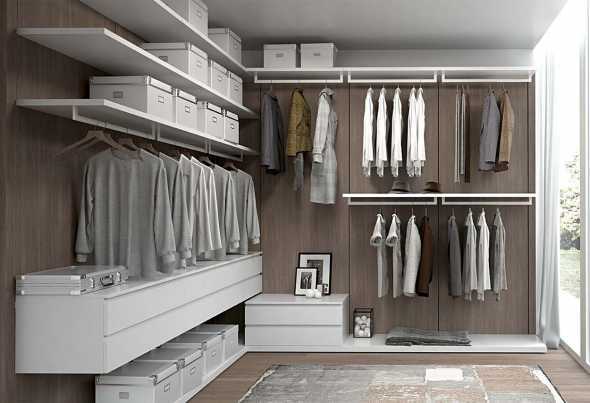 Naked walk-in wardrobe with racks customizable for measures and finishes. Two models available: corner and linear without sides. 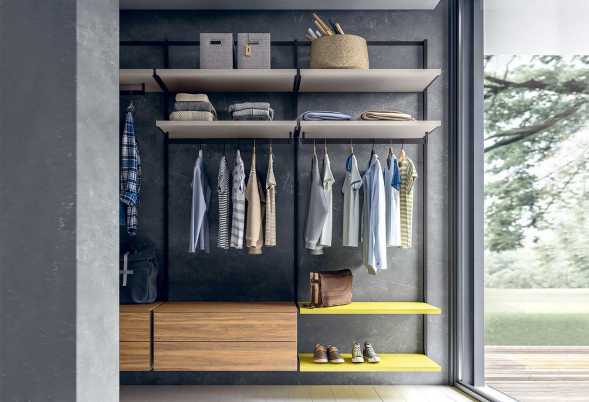 The Start wall mounted walk in wardrobe features 44,3 / 59,3 / 89,3 cm wide and 259,6 cm high back panels to which you can add shelves, hanging rods and floating modular drawers. 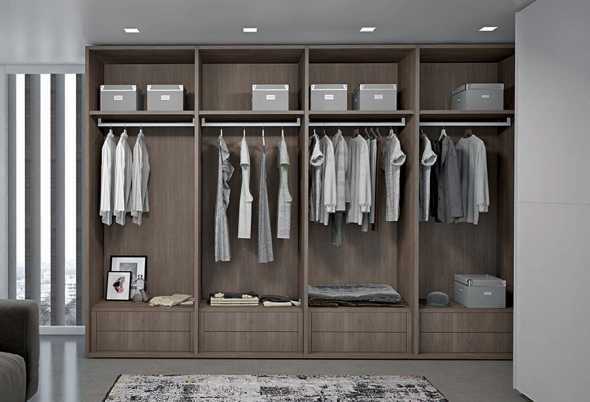 Start walk-in closet system; it allows a total customization of finishes, measures and internal accessories. 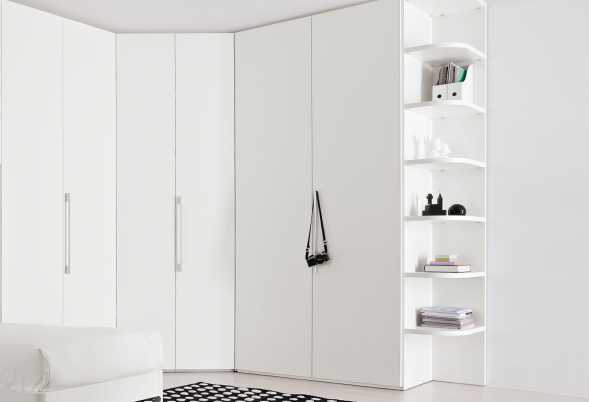 Start - Cabina Angolare is a corner walk-in closet, available in several models. 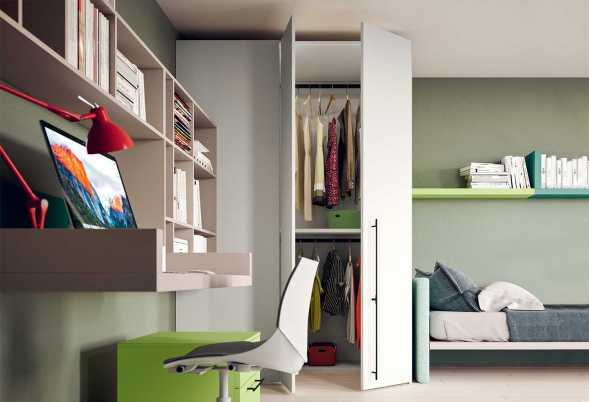 Space saving solution for bedroom sets.